I just love photos. From an adorable baby to a gorgeous sunset to an introspective selfie, there’s just something about freezing a moment in time that really appeals to me. One thing that doesn’t appeal, though, is the idea of missing out on experiencing the actual moment as I fumble for a camera or cell phone. It’s a dilemma I think about often – the joy of having those memories immortalized on (virtual) film to enjoy for years to come, versus the joy of just being present in the moment. Now, there’s an option for those of us who don’t want to choose – Blynk. 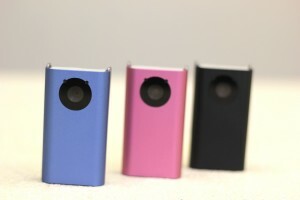 Blynk is a tiny camera that packs a big punch (and I do mean tiny – the device is just over two inches tall, and a little more than one inch wide). 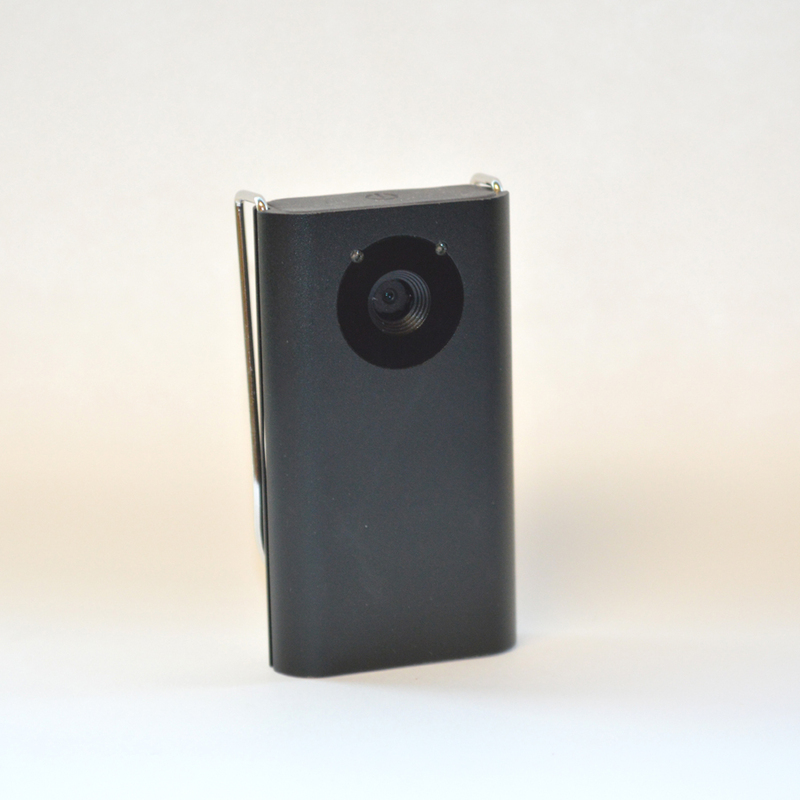 It’s a time lapse camera, easily programmable to take photos at whatever interval you select. You can lay it out on the table, prop it up on the shelf, or even clip it on and wear it around. However you choose to use it, fumbling for a camera is simply no longer necessary. Blynk does the work for you, and you can even compile your photos into a one of a kind time-lapse video that is sure to be treasured for years to come. Meant to be portable and unobtrusive, the Blynk is quite compact. 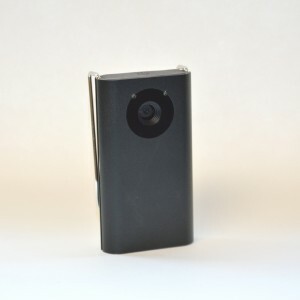 It’s about the same size and shape as a cordless phone battery, and there’s a removable metal clip built right into the camera. This allows for easy (and secure) attachment to clothing or even the brim of a hat, which widens the possibilities of what you’ll be able to do with the camera. The only other thing in the package is a Micro USB charging cord, but the box itself includes instructions to fold it into a mini stand that props the camera upright, which is a nice touch. The clip, lightweight as it looks, does its job well. I wanted to get a sense of what you could really do with the Blynk, so I clipped it onto my preschooler and told her to go nuts. The camera stayed in place through he crazy run (and jump, and skip, and…you get the picture), and after she wore herself out, we had a great kid’s-eye view of the world, immortalized in a nice little time-lapse video that she thought was the coolest thing ever. So how do you use it? You can’t do a whole lot on the camera itself – there’s a power button, and that’s it. There aren’t instructions in the box, but you are directed to the LyfeShot website, where you can download the Lyfeview software. This is a free software, easily downloaded on both pc and Mac, that allows you to change settings on the camera, and watch/edit your pictures and movies. When you plug the camera in, the Lyfeview software immediately takes the videos from the camera and puts them on a viewing screen, where you can view your photos at slow or fast speeds, and save them as pictures or movies. It’s all really simple and straightforward, and it’s easy enough for even novices to figure out (just don’t forget to save!). The camera settings mode is a single page, allowing you to set the interval that the camera takes photos at (everything from one every second to one every minute to custom). You can also change the compression level, optimize the shutter speed, add a timestamp, and blink the front LED when pictures are taken. Everything is turned on and off via checkboxes, so again – super simple to understand. The one thing I like most about the Blynk is that it has so many possibilities, and it really got us thinking creatively about the way we take pictures. I mean, imagine hooking a camera to your son’s helmet before he goes skateboarding, or clipping one on your dog’s collar before you go for a walk. We did everything from a time-lapse video of my son’s hermit crabs (they are nocturnal), to Lego movies, to a Blynk style Thanksgiving feast. There is so much you can do with it (and it’s so easy to use) that it really does make all types of photo shoots possible – even for the young photographers in your life. Blynk by Lyfeshot is a powerful time-lapse camera in a tiny, portable package that really packs a punch – both in terms of possibilities and power. You can take a photo every second for almost an entire day, hook it to your pets or kids for one of a kind photo shoots, and make your own time-lapse videos – all in an easy to use camera that is sure to please.